Sometimes, when I get into an introspective and sentimental mood, I like to dig through my music collection and find something I haven’t listened to in a long time. Not sure what exactly it was that drew me to Depeche Mode tonight, but I figured what the hell. I’d forgotten how awesome this 1990 album is. For those who don’t know, Depeche Mode (performing since 1980) is an English electronic group consisting of Dave Gahan on lead vocals, Martin Gore on keyboards guitar and lead songwriter, Andrew Fletcher on keyboards, and (at the time) Alan Wilder on keyboards, who has since left the group. Their 1990 album Violator is a very solid album, most tracks with a dance rhythm even I can move to. Personal Jesus, perhaps better known as it was covered by Johnny Cash, deals with the idea that everyone needs to be saved sometimes, that everyone needs that someone to talk to, and it’s not necessarily a religious thing. It’s about trying to find a personal savior who can be there for you if you need them. Hmm. 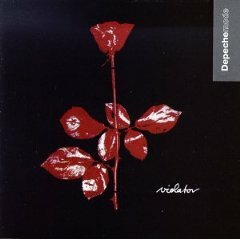 All right, Violator is a fantastic album that, while being the most popular album Depeche Mode has released, still doesn’t get quite the recognition it deserves. And hey, if it can get ME dancing, that’s gotta say soemthing about it.